Canyonlands National Park is an extremely fun national park to explore. It’s absolutely huge covering about 337,598 acres of canyons, mesas, buttes, fins, arches and spires in the heart of Utah’s desert. If you’re visiting Utah, Arches National Park or Moab, make sure you stop by at Canyonlands National Park. And, when you do, here’s what to see and what to do in Canyonlands National Park. The park is split up into several different districts. You can’t reach cross between districts within the park itself due to the rivers – you have to drive outside the park to get to and from them. The most popular district in terms of visitors is the Island in the Sky as it’s the easiest to get to from Moab. 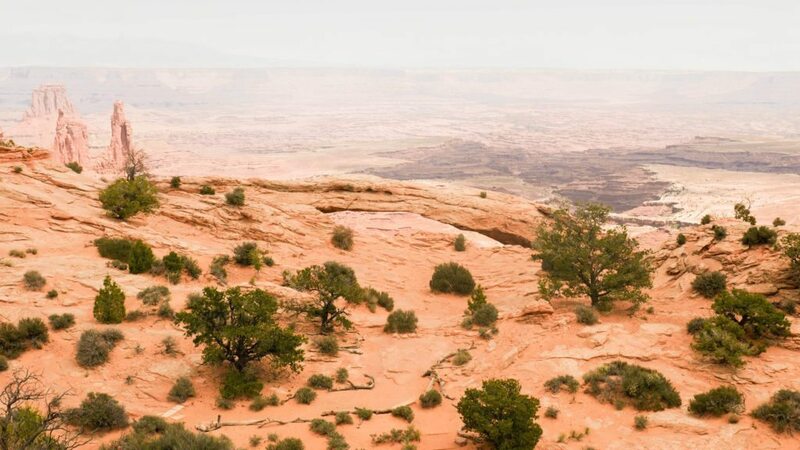 Because of this, this list focuses on the Island in the Sky but if you’re visiting other districts of Canyonlands National Park then scroll on down for an overview of those. How much are the entrance fees for Canyonlands National Park? 10. Take a hike, any hike! 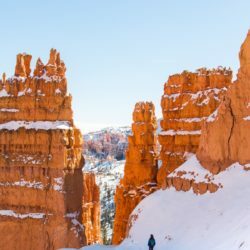 Want more things to do in Utah? Take a look at these posts! It’s HUGE! The park is split into four districts and Horseshoe Canyon. All these areas are divided by the Green and Colorado rivers. You’ll find a desert atmosphere in each district, but they’re all different too in their own way. Because of the fact they’re divided by rivers and canyons, getting to and from each district can be difficult. You can’t get from one to other from within the park. You need to go back out of the park and drive around it to get to another district. Because of this, it can take 2 – 6 hours by car to get from one district of Canyonlands National Park to another. The Canyonlands National Park entrance fee is $30.00 per car or $15 per person with no car (i.e. if you’re cycling or hiking in). Mesa Arch is one of the most well-known features in Canyonlands National Park. It’s supposedly beautiful at sunrise when the sunbeams shine through the arch, but it’s pretty great whatever time you visit (we went mid-afternoon). From this view point you’ll be able to get a good view of the river that’s caused this amazing landscape. It still surprises e how something so little looking (from up on the top of the canyon rim, anyway!) can creat something so huge and impressive! This was probably my favourite view in the whole of Canyonlands. If you’re going to Canyonlands National Park definitely put this on your to do list! From the viewpoint you can walk along the rim for a while. Every visitor to Canyonlands should make the short and easy hike to Mesa Arch. 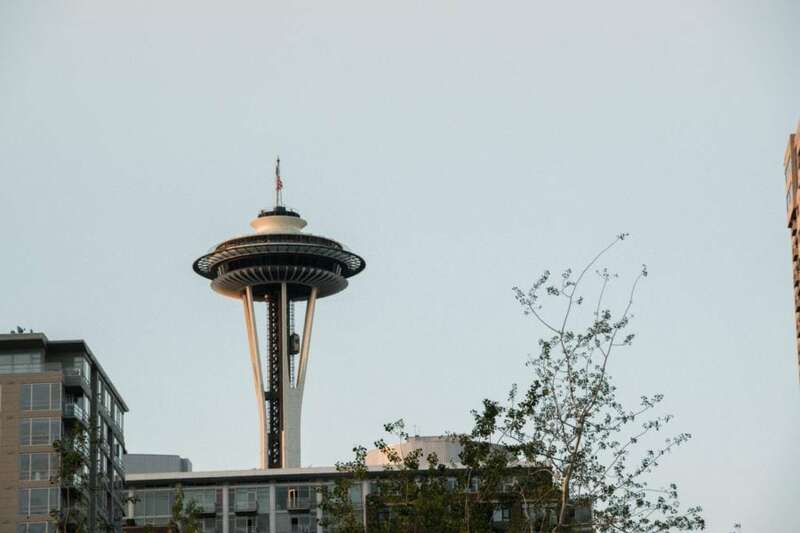 It’s only 0.5 miles out and back and you’ll get some great views! It does get busy in the middle of the day but you won’t be queuing for photos like you would at Arches National Park’s Delicate Arch. If you own a 4×4, or are interested in hiring one, then the White Rim Road is where to take it. The White Rim Road goes down into the canyon so you’re lower than the Mesa Top where most visitors will be, but not quite down by the river. It looks like a great trail to drive. You’ll need to get a backcountry and 4×4 permit to do so and the whole think (all 100 miles) takes about 3 days. There are a couple of ways to spend the night in the park. You can either book a spot in the park’s campsites (book early; they fill up quick). Or, you could get a back country permit and camp in the wilderness. See the park’s website for more information. 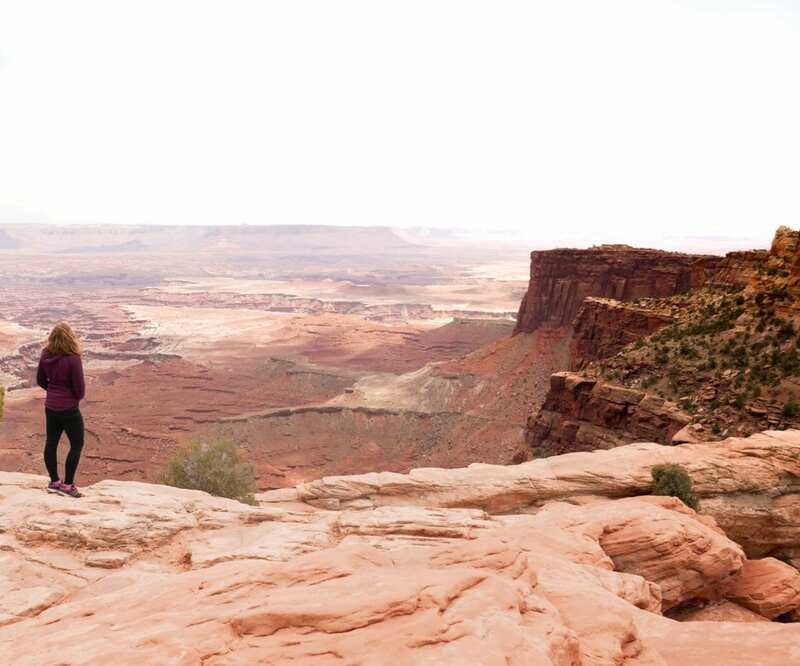 Some of the best hikes to do in Canyonlands National Park involve leaving the maintained trails and hiking into the wilderness. You’ll need a permit for this but it’s something you’ll never forget. 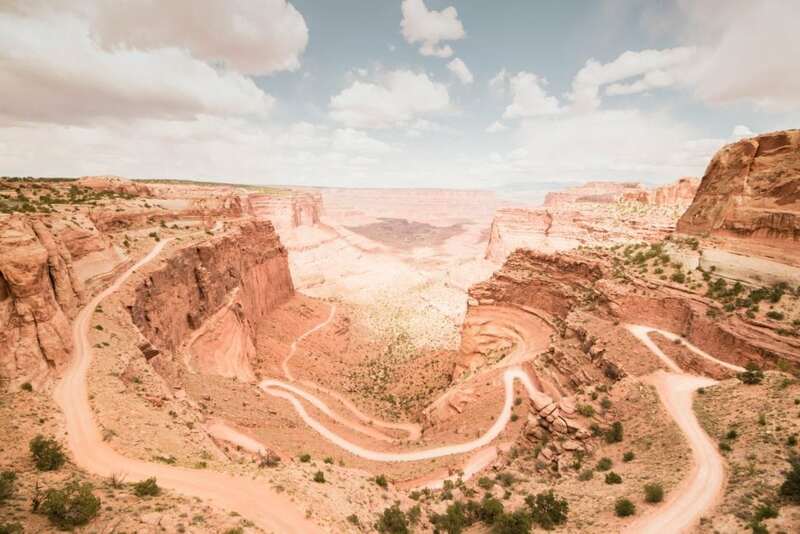 If you’re a mountain bike lover then get yourself an off-road permit and ride your mountain bike along the White Rim Road. That’s sure to be one hell of an adventure! 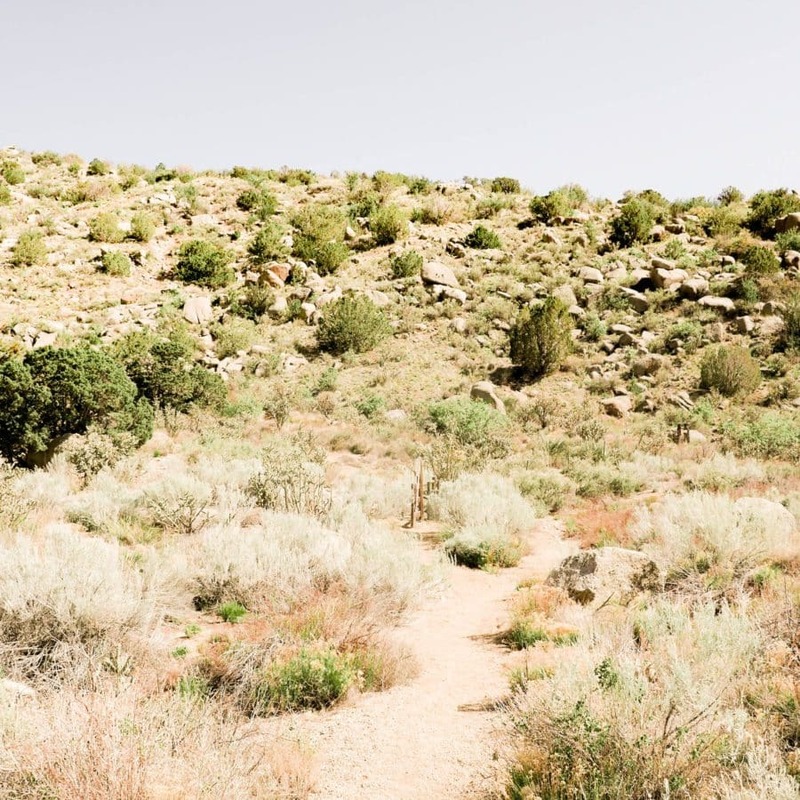 If you don’t have time (or the inclination) to spend a couple of days hiking, you can still climb into the canyon on some of the shorter trails. See my list of the best hikes in Canyonlands here. 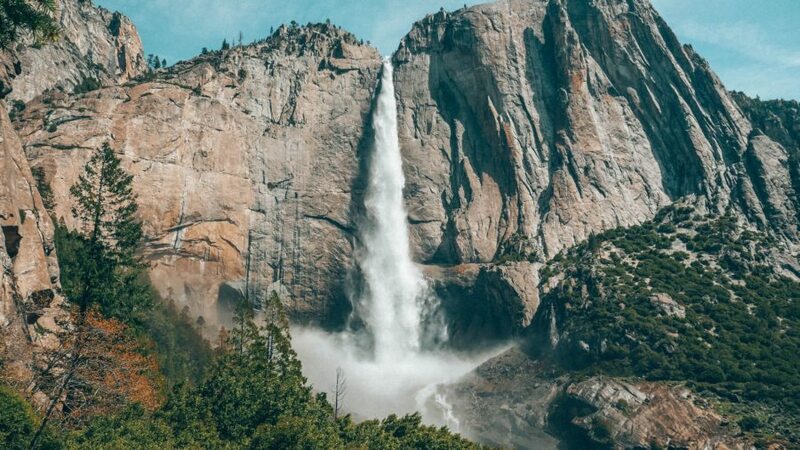 You can’t come to a National Park and not get out of the car – that’s where the best views are! Make sure you do a hike, however small when you come to Canyonlands. Here are some of the best easy hikes in Canyonlands National Park. Many National Parks in the US have fantastic night skies and Canyonlands is no exception. Back in 2015 the park was designated as an International Dark Sky Park which is a pretty big deal. What will you see? In Canyonlands you can see the Milky Way arching across the sky, millions of stars and you’ll spot satellites too! The Maze is the least accessible district of Canyonlands National Park. You need to have a 4×4 to access it as it’s very remote with bumpy, unpaved roads. However, I’m sure this makes it a lot of fun to explore! If you don’t have a 4×4 there were plenty of places in Moab renting them. The park rangers reckon it’ll take anywhere from three days to a week or more to explore The Maze district so go prepared for a week in the wilderness; pack plenty of water and food! You’re most likely to be either camping near Canyonlands or staying in a hotel in Moab. Take a look at my guide to Moab if that’s where you’re basing yourself while visiting Canyonlands National Park. 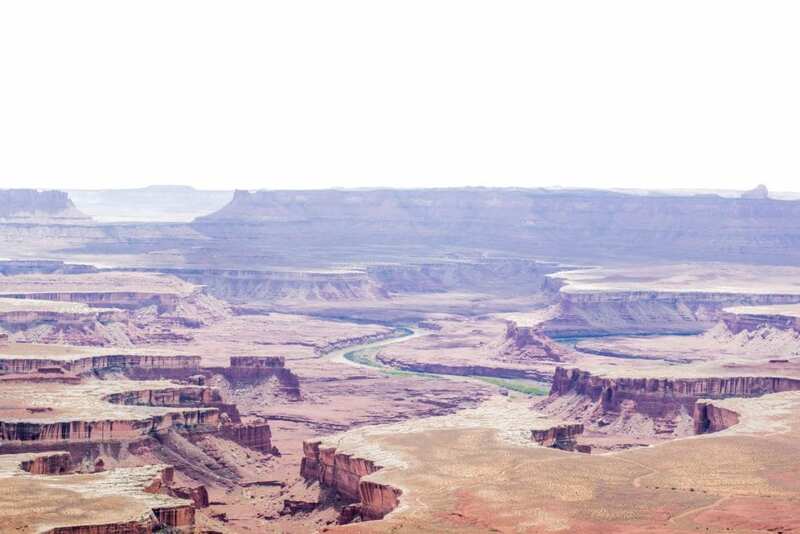 Here’s a few suggestions of top hotels near Canyonlands.